Stiff sprays of snapdragons are a welcome sight in borders and rock gardens across the globe, but even the best laid garden plans sometimes go awry. What do you do when you have problems with snapdragon plants? In this article, we’ll discuss common issues with snapdragons, including snapdragon diseases and pests. Read on to get started with your snapdragon health education. Viruses. Plant viruses affect a wide range of hosts and cannot be cured. Generally, they’re spread by insect pests, often moving from a weed plant to an ornamental during the course of feeding. Keeping weeds down will help to prevent viral contamination, as well as destroying any infected plants as soon as they show signs. 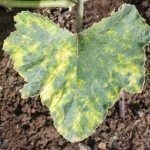 Leaf spots, rust and powdery mildew. These molds are unrelated but can be treated in much the same way. Although some are more permanently damaging than others, they’re all made possible by a canopy that’s too closed, allowing for high localized humidity. Increase the spacing between your plants, or move them into a sunnier location so that water doesn’t stand on their leaves for long. 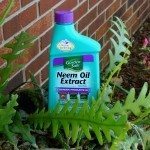 If these infections are bad, a mild fungicide like neem oil can be applied. Anthracnose and blight. These may be the most serious diseases of snapdragon, and boy are they ever. Both will eventually result in stem girdling and there’s very little that can be done to stop them once they’re entrenched. Spraying with copper-based fungicides may slow or stop early disease spread, but you should remove and destroy any infected plant material. Sap-sucking insects. A wide range of sap-sucking insects love snapdragons. Aphids, mites, mealybugs and whiteflies are common sights in stands of snapdragons. These pests can cause disfigured leaves and flowers if they feed on buds; otherwise, you may notice stippling on leaves or a general lack of vigor as populations rise. 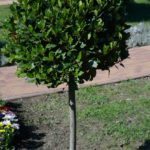 Turning leaves over will quickly reveal the culprit, which can be dispensed with regular blasts from a garden hose or sprays of insecticidal soap. Read more articles about Snapdragons.